Soft Play is one of those worlds that you don’t encounter until you have children. But once you do have children you soon get to know what to look for in a soft play centre. Ever since Little Miss C was tiny we’ve been going to DJs Jungle in St Albans and both kids absolutely love it there. 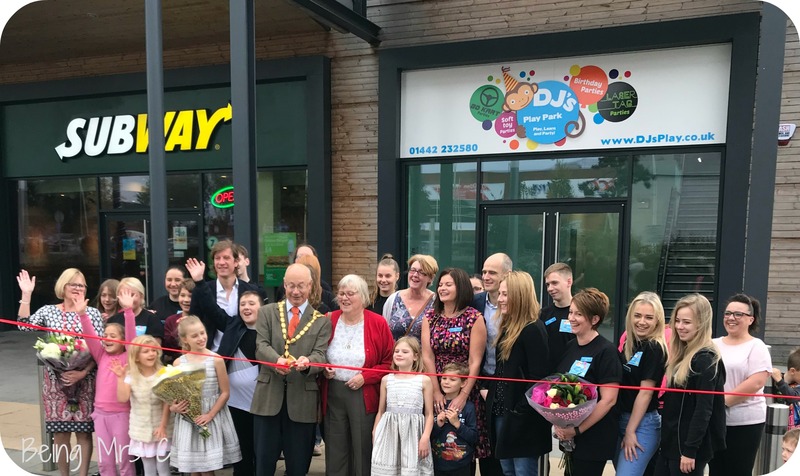 I was therefore thrilled to hear about the new sister soft play centre that they are about to open in Jarman Square (or Jarman Park as we oldies all know it!) 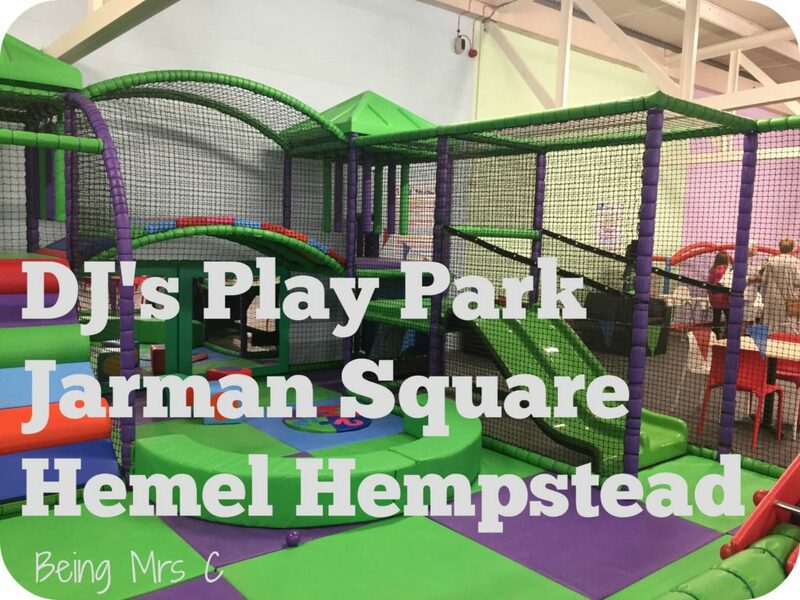 in Hemel Hempstead – DJ’s Play Park. The wonderful thing about DJs for me is that it is run buy someone who actually has kids. 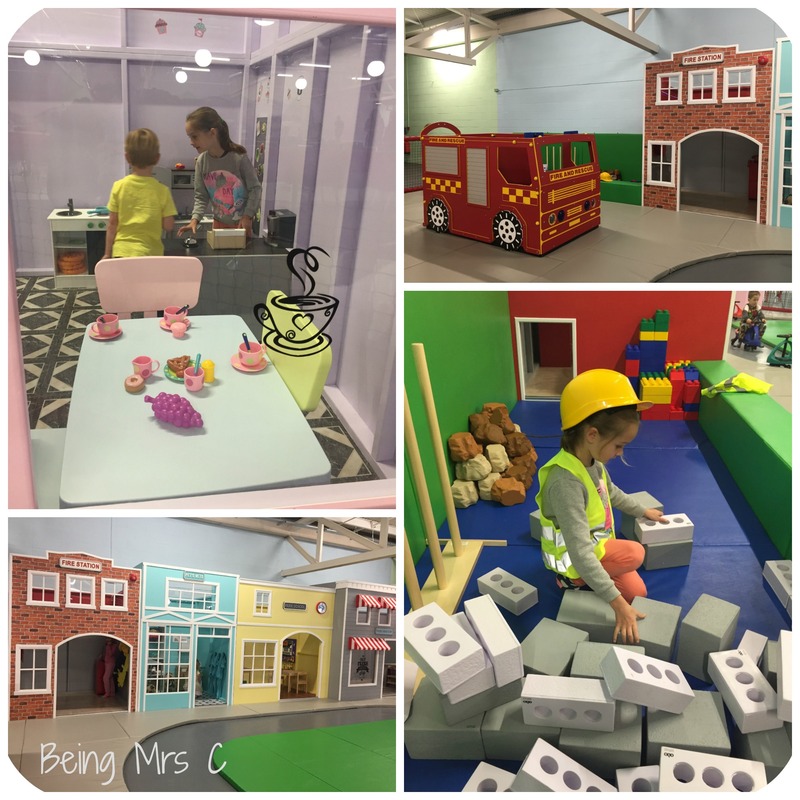 Helen and her husband have three children and so they know more than a thing or two about what children and more importantly parents, want out of a soft play centre. They’ve hit upon a winning formula and it’s fantastic to see them now replicate it in a brand new space in Hemel. We were lucky enough on Saturday to go for a look around DJ’s Play Park and the kids had an absolute ball testing everything out. DJ’s Play Park is located in the same long stretch of buildings at Jarman Square that houses the Cineworld Cinema and all the restaurants, and you’ll find it at the far right side as you face the buildings, over by the XC. The entrance is next to Subway and as you go inside you need to go upstairs, or take a ride in the lift – which knowing some children will be exciting enough in itself. Once upstairs, you go past the counter where you pay and they have the usual arrangement of gates to stop any children trying to escape. What is particularly nice is that you have a separate entry and exit gate, meaning that there’s less chance of little ones trying to get out as others come in. Once you go past this and into the main area the first thing that hits you is just how large the whole place is. It makes DJ’s Jungle seem tiny in comparison as the space is simply huge. This huge space means that they’ve really been able to go to town at DJ’s Play Park with lots of different soft play areas for different ages of children. There’s a really good sized under 2s area just as soon as you come in, and it’s nice to see this properly separated from the areas where older kids are. It really means that little ones can be kept safe from older kids who tend to go a bit wild at these places. There is also a separate under 4s area too. It’s worth pointing out that both these areas have slides in them – something that you unfortunately don’t always get in the under 2s sections in soft play centres. 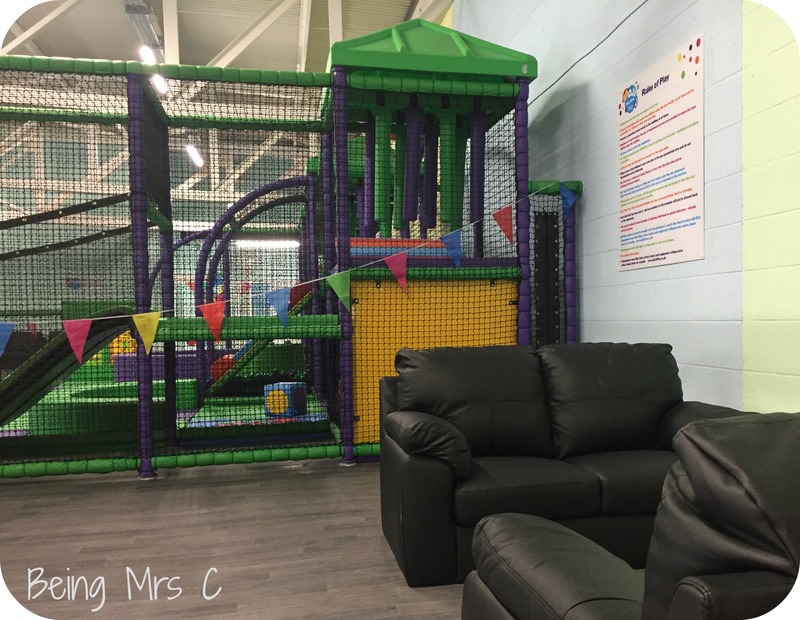 The main soft play part is for over 4s and it offers a huge amount of variety for children. Master C is now 5 and LMC 7 and they both really enjoyed themselves in there. There was loads for them to climb all over and they also really liked the ball system in there. 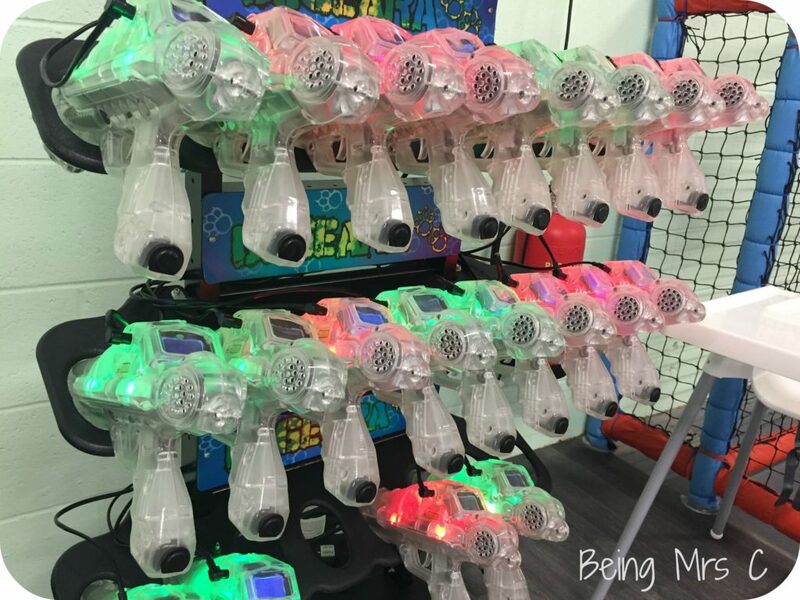 Rather than just a ball pit, there are various air pipes where you can feed balls in, and then they fill up a hopper that can deliver a shower of balls at the press of a button. I’ve seen this somewhere once before and children loved it – just as they did at DJ’s Play Park. 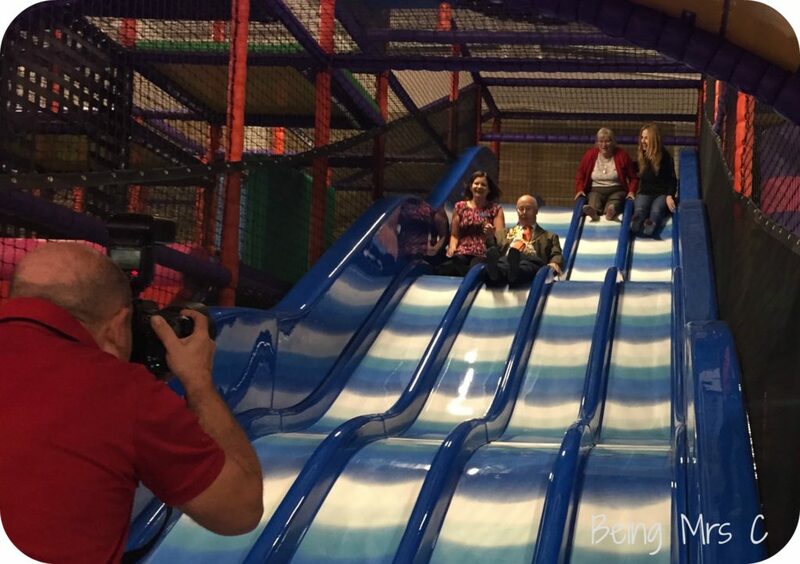 There is also an impressive slide that can take four people side by side, and judging by the speed that the Mayor of Hemel went down for a photo op, I think it fair to say that it’s a pretty fast one! I’m just kicking myself for not filming his trip down it. That £250 from You’ve Been Framed could have been mine. There isn’t just typical soft play though at DJ’s. There is an impressive set of Go Karts that are a paid for extra (£1 a go) and Master C absolutely loved taking advantage of them being on a free ride when we visited. I’ve told him to start saving up his pocket money for when we next visit. 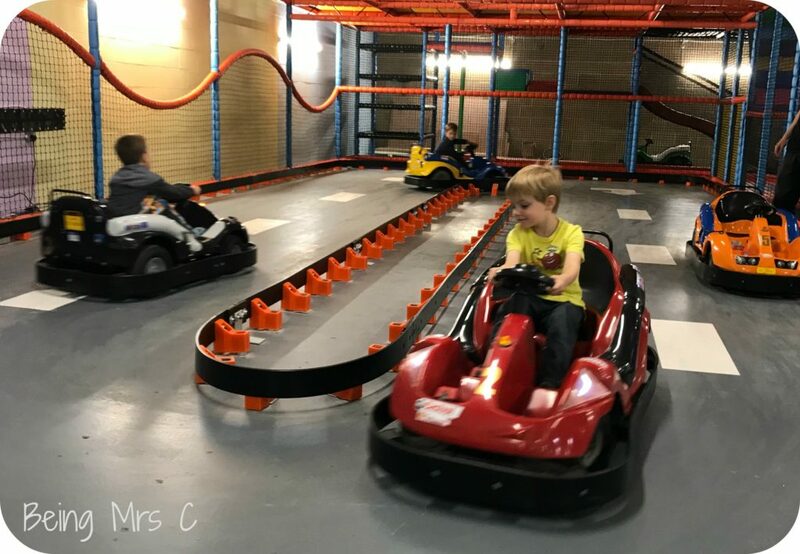 For those children not yet big enough for the Go Karts there is an upstairs section full of Little Tikes Cozy Coupe cars for them to drive around – complete with road signs and bollards to navigate around. It can be a bit of a puzzle to find your way into this section – you need to crawl under something – but I think this would actually help discourage older children from going in and trying to take over. For those older children there is also a ball court area where they can shoot some hoops or practice their dribbling skills. DJ’s Play Park is also offering laser tag parties there for the older children too and I know that these are incredibly popular at DJ’s Jungle in St Albans, so I’m guessing the children on Hemel will enjoy them just as much. One area that really stood out for me at DJ’s Play Park was the really impressive role play area that they have created. It’s like a miniature village with a school, grocery shop, cafe, vets and a fire station. There’s also a beautiful fire engine, complete with fireman’s pole and also a building area where children can don a hard hat and hi-viz before doing a spot of wall building. All the shops are complete with props, ranging from dressing up outfits to a coffee machine in the cafe. Both children absolutely loved it there. In front of all the shops they can drive round the village green on didicars, which are always a huge hit with children. With all this for the children they are bound to be kept entertained for hours. For the accompanying grown ups there is a cafe that will be serving hot drinks, snacks and hot food. DJ’s know that caffeine is a non-negotiable when it comes to parents, so you can definitely get your hands on a decent coffee or cup of tea. There are a few comfy sofas, but also a huge number of tables and chairs offering plenty of space to either sit for a chat, or even get your laptop out to catch up on a spot of work whilst your children play. There is also food and snacks available for babies up and plenty of high chairs for the youngest customers too. 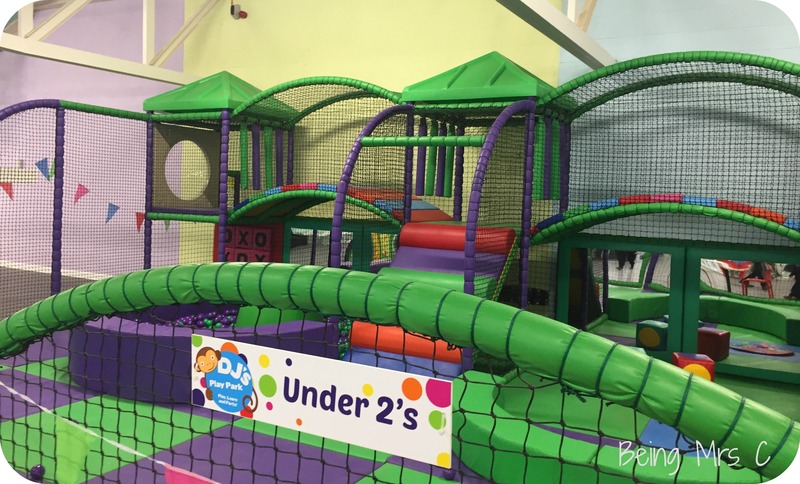 DJ’s Play Park offer children’s parties and as well as a regular soft play party you can also have a soft toy party, Go Kart parties or a Laser Quest one. Off the main space there are three party “rooms” for the children to eat in. All are spacious and bright inside. And, as I know that toilets are always important to parents, it’s worth mentioning that the ones at DJ’s Play Park are some of the most spacious I’ve ever been in. Whilst the Mayor may have looked a tad puzzled at first when he heard the words “come and look at our toilets” they are something that really do matter when choosing where to spend time with your kids. 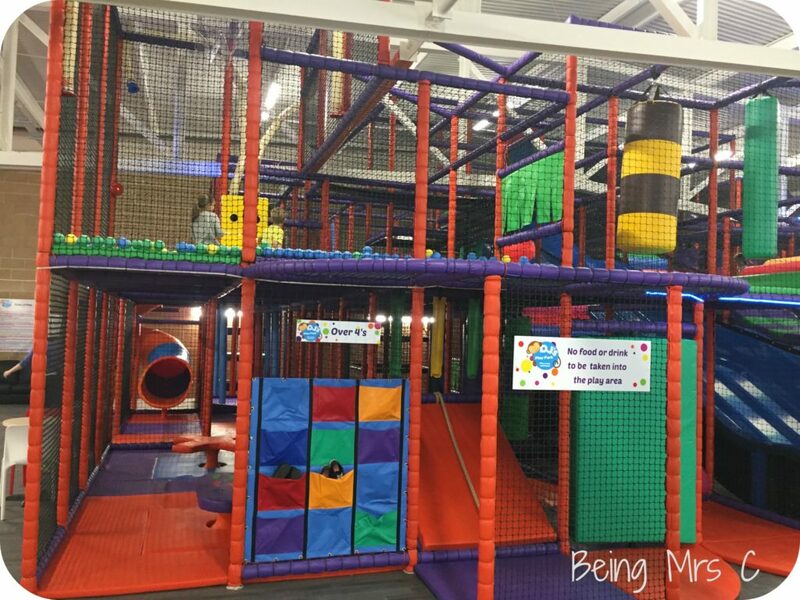 DJ’s Play Park ticks all the boxes when it comes to indoor play for the kids. Jarman Square has been really improved over the last few years with a good array of restaurants, the fantastic XC Centre (if you’ve got older kids and not been here yet then you need to check them out), Planet Ice and a refurbished Cineworld cinema, and DJ’s Play Park is a prefect addition to it. DJ’s Play Park is due to open on Wednesday 18 October 2017 and is located at Jarman Square, Hemel Hempstead, HP2 4JS. For full details including opening hours and special events check out the DJ’s Play website or follow DJ’s Play Park’s Page on Facebook. Disclaimer: We were guests at DJ’s Play Park for their official opening this weekend, but we are regular playing guests at DJ’s Jungle in St Albans.